Whenever I find myself growing grim about the mouth; whenever it is a damp, drizzly November in my soul; whenever I find myself involuntarily pausing before coffin warehouses, and bringing up the rear of every funeral I meet; and especially whenever my hypos get such an upper hand of me, that it requires a strong moral principle to prevent me from deliberately stepping into the street, and methodically knocking people’s hats off—then, I account it high time to get to sea as soon as I can. This is my substitute for pistol and ball. 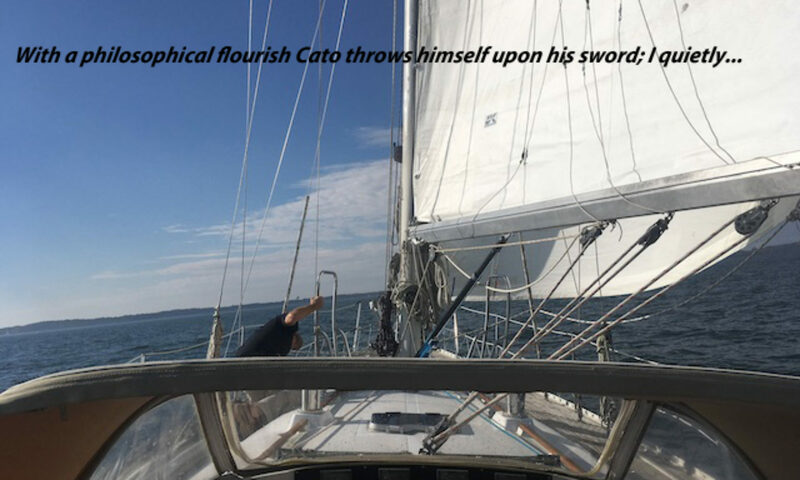 With a philosophical flourish Cato throws himself upon his sword; I quietly take to the ship.